Finding a local Norbury plumber for your home has never been so easy. We provide a 24/7 service that covers all your plumbing and heating needs, all you have to do is call Fast Response Plumbers. Did your pipes suddenly burst in the middle of the night? Don’t panic, give Fast Response Plumbers a call and we’ll arrive within two hours to your location to take a look at the problem. Our services contain no hidden fees or charges and we guarantee high quality service and work for every customer. 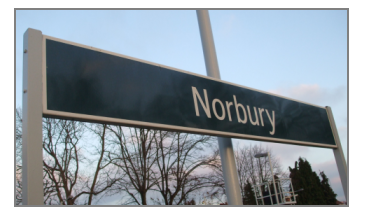 Our local Norbury team have the equipment and knowledge to fix most problems on the spot. You can trust our highly trained professionals to be at your door prepared to tackle any problems that may have popped up. We are able to service your sinks, toilets and even your main drain lines. Installation and testing are also available from our team of Fast Response Plumbers. We provide full gas and heater services 24/7 including gas safe inspections, gas and heating system installations and full repair of faulty gas and heating systems. If you are experiencing problems with your radiator, pipes, pumps, water tanks or immersions, you can rely on Fast Response Plumbers to come up with a solution. We are experienced in dealing with boilers of all types and can supply and install new boilers. Gas leaks are a serious issue, it can lead to carbon monoxide poisoning which can significantly affect your health. If you think there is something wrong with your gas or heating systems, feel free to contact us. We will send our team of seasoned professionals to deal with the problem and make sure it never happens again. Our team of local Norbury plumbers will take care of everything for you. All you have to do is contact us and explain your plumbing issues. We pride ourselves on our high quality of service and quick response times. Using local plumbers means we are able to reach customers in the Norbury area quickly. We monitor our services throughout the entire process to make sure you get the very best service we can provide. For all inquiries regarding leaks, burst pipes to immersions and new plumbing installations, Fast Response Plumbers is able to cater to your needs. We never charge for any hidden fees and we guarantee high quality service and work for every customer. Fast Response Plumbers are also able to service and blogged drains or blocked pipes you may encounter. Our staff are able to unblock any pipes, sinks, toilets or outside drains that may have been clogged. If a complete dig up is required, our team has the equipment and expertise to carry out the operation. Complete pipe and drain replacements and repairs can be quickly and easily performed by our team. If monitoring and surveillance of your drains are needed, we can install CCTV drain cameras to check for underlying problems.